After two years of success with GEOX DRAGON, the team is pleased to announce a multi-year extension of its ongoing partnership with leading specialty insurance provider, Argo Group. The continued partnership with GEOX DRAGON underscores Argo’s commitment to innovation, teamwork, and sustainability. 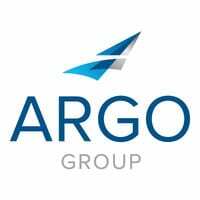 Argo branding will feature prominently on the team’s Penske EV-3 race cars as well as on the team, kit, merchandise driver fire-suits, and team garage. Argo and GEOX DRAGON will work behind the scenes to share the best practices that allow both organizations to succeed in their respective fields. At the 2017 and 2018 New York City ePrix, Argo Group and GEOX DRAGON partnered to fund local STEM programs for young people with a total donation of $20,000 – a demonstration of both teams’ commitment to fostering sustainability through education and innovation. The Geox group operates in the classic and casual footwear sector for men, women and kids in the average-high price bracket as well as in the clothing sector. Geox owes its success to its constant product focus and its application of innovative and technological solutions which bring about breathability and water-tightness. All Geox’s future-growth strategies are based on ongoing technological innovation. Geox is one of the major world players on the international lifestyle-casual footwear market. Geox innovation is protected by as many as 35 different patents and 10 more recent patent applications. Geox was born in Italy but it has always had an international vocation: over 70% of its proceeds comes from more than 110 different foreign countries. The Group has a diversified distribution strategy in the various markets to ensure that the brand is promoted consistently for each end consumer. As of the 31st of December 2017, the Geox distribution network included a presence in around 10,000 multi-brand stores and 1,095 single-brand stores worldwide.